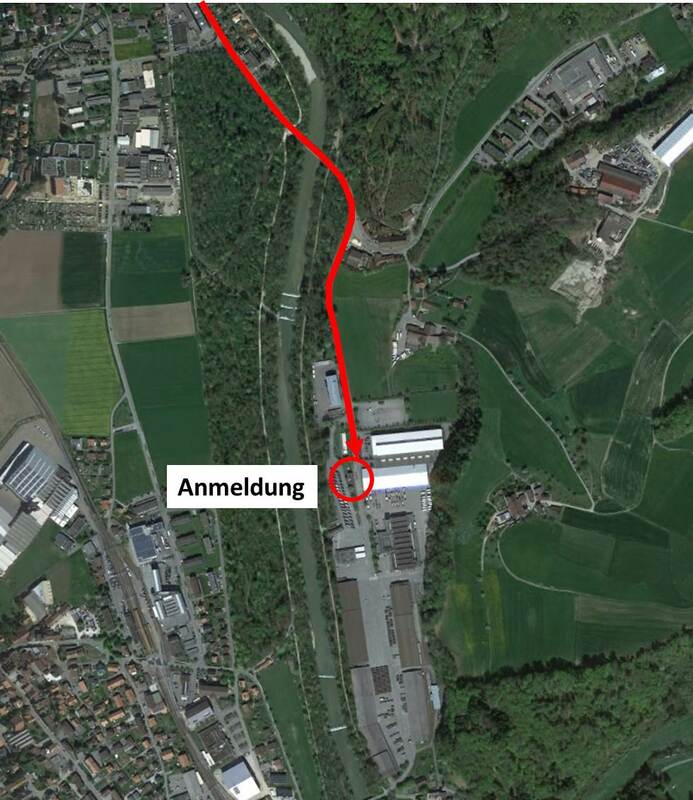 If you use the motorway, leave it at the Thun Nord exit and drive in the direction of Thun. From the roundabout Bernstrasse follow the yellow signpost troop / companies to the restaurant Bellevue. Immediately after the restaurant Bellevue turn right. 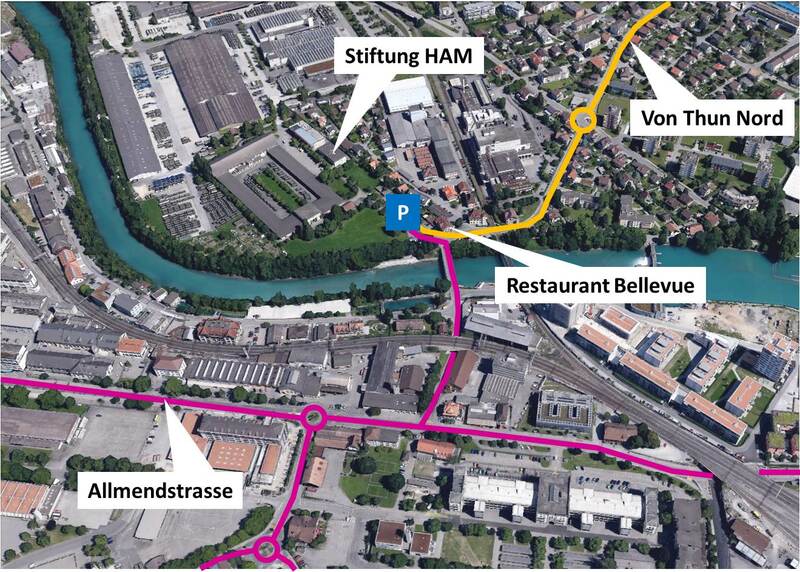 When driving on the Allmendstrasse turn into the Regiestrasse, cross the Aare and turn left immediately before the restaurant Bellevue. Behind the restaurant you park your vehicle on the large federal car park. As a visitor to the HAM Foundation, you do not have to observe the parking ban. At the passenger and bicycle lock you will find a microphone unit, which you must contact. 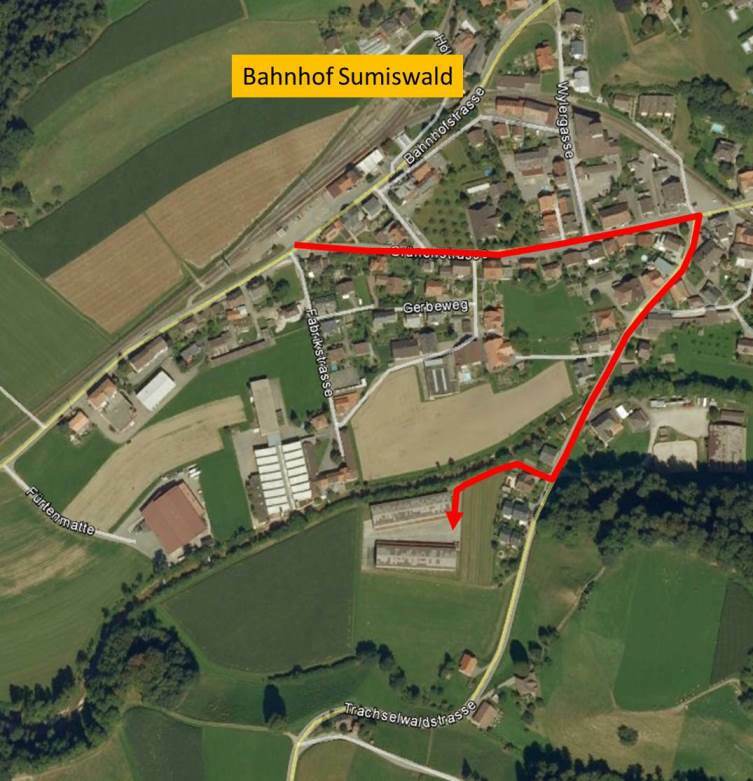 From the town of Burgdorf, take the Heimiswilstrasse in the direction of Heimiswil and follow the yellow signposts Militärbetriebe. About 200 m after crossing the river Emme turn right into the military road. After approx. 500 m you will arrive at the reception, where you have to register. After signing up, continue for 50m and get to the workshop building, which is on the left. From the station Sumiswald drive on the green road towards the green. After approx. 250 m turn right into Trachselwaldstrasse. After another 300 m, you will find the entrance to the area on the right, which lies hidden between detached houses.